Hot Damn. Shimano's 11-speed Ultegra 6800 groupset is really, really, really good. That's this review in a nutshell, but in the spirit of drawing things out I'll write a few more words on the matter. There's lots to say. But the bottom line is: for the serious fitness rider or privateer racer, as a package, this is as good as a mechanical groupset has ever been. It was last May when Ultegra 6800 was unveiled (/content/news/82237-updated-prices-shimano-unveil-ultegra-6800-11spd-groupset) and now you can get a huge range of bikes sporting the gun-metal grey componentry. Ultegra always follows the lead of Shimano's flagship Dura-Ace gear and this incarnation is no exception. It's eleven speed, it uses the new four-arm crankset and the redesigned symmetrical dual pivot brakes, the STI levers are redesigned and so are the derailleurs, especially the front one. It's quite an overhaul. There are even some new wheels to cope with the ever-so-slightly wider cassette. But we'll deal with them in a separate review. Let's take the parts one by one. You can find the new Shimano Ultegra 6800 online at ProBikeKit or even from eBay. If you prefer to support your local bike shop you can find a Shimano dealer here. 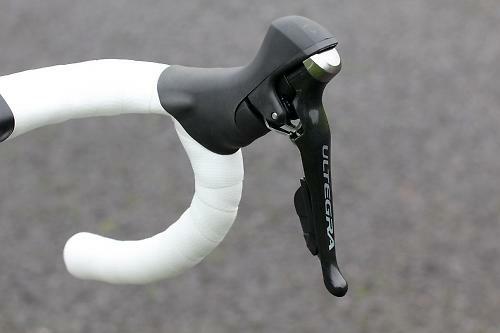 Shimano have been doing a lot of work on the shift feel, and Ultegra 6800 takes on board what they've achieved with Dura-Ace. The shift mechanism has been redesigned so that, in theory, the shift from 24 to 28 at one end of the cassette feels exactly like the one from 11-12 at the other. Shimano call it Vivid Shifting (everything has to have a special name) and it's quite noticeable that the lever resistance doesn't ramp up anywhere near as much, although you do need a bit of extra push for the big cogs. The action is lighter, too. That's especially true of the front shift thanks in the main to the redesigned derailleur but both shifts are easier, and the throw of the lever is reduced, which is good news for smaller-handed riders and for when you're shifting from the drops. Shifting is precise and sensitive. Although it's light you still get reassuring feedback from the lever. It's still possible to miss a downshift if you accidentally catch the main lever as the mechanism doesn't engage, which has been an issue for a number of incarnations of Shimano's STI system. It'd be nice to see it fixed although it's not a major problem. Shifting under load is really, really good: so good that it's almost better putting the power down when you're shifting – especially down the block – than easing off slightly like you would with a lower-end groupset. Certainly it's very hard to make an upshift fail even under heavy load, and it's nigh-on impossible with a downshift. Shimano have done a lot of work on the front derailleur and it shows. The mech now has a much longer activation arm to reduce the shift effort, and it features a support bolt, like the Di2 unit, that comes into contact with the frame to stiffen up the structure. If you have a carbon frame you'll want to cover the contact point with the stick-on alloy plate to avoid damage. All that work means much lighter front shifts, with an excellent pick-up from the chain and the chainring ramps on the upshift. The rear dreailleur comes in short- and mid-cage incarnations, the latter able to handle up to a 32T sprocket for the really steep stuff. The spring rate has been tweaked to give a more linear feel to the shifting. Both mechs have been designed to work best with Shimano's new polymer-coated cables, which reduce friction in the system. We've been to the launch and done the pull-this-one-then-pull-that-one test to feel the difference; in real world conditions it's hard to say how much the reduced friction makes but it can't be a bad thing, and the rear shifts are excellent. 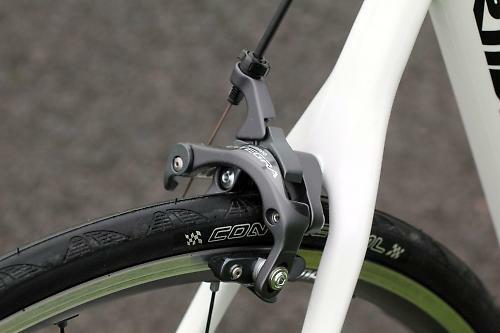 The brakes are dual pivot, as before, but instead of using the brake bolt as a pivot the Ultegra units have two symmetrical pivots that are attached to a carrier, that then mounts to the normal point. At least that's one option: Shimano are heavily touting direct mount as The Next Big Thing, where the two pivots mount directly to the frame. That's been more widely adopted for brakes with chainstay-mounted rear brakes than it has at the front, or on the seatstays, but those bikes are appearing. On top of all that there's a new brake shoe compound, and Shimano's new polymer-coated cables too. 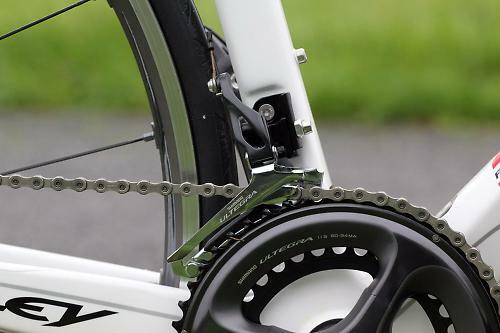 Shimano claim that all those improvements add up to a 10% increase in braking power. I didn't crack out the accelerometer and the calculator, but these brakes really are excellent. The braking effort to stop you is reduced, and that means less arm fatigue on long rides. Haul them on and they're both powerful and controllable. The improvement over the previous Ultegra callipers is especially noticeable in the wet, which is possibly down to the new brake compound rather than the redesigned body, but everything works very well together here. Brake shoe wear is decent; they're not the hardest pads but it's always a trade-off between pad life and stopping power, and the Ultegra pads are in the happy middle ground of great performance and acceptable wear. It's fair to say that Shimano's new four-arm design divides opinion as far as looks are concerned. Personally, I think it looks smart, but what's not in doubt is that it's a very stiff, configurable, and light unit. The idea behind the unequal spacing on the four-arm chainset is that the arms are placed to deal with the stresses that a chainset endures from your pedalling. 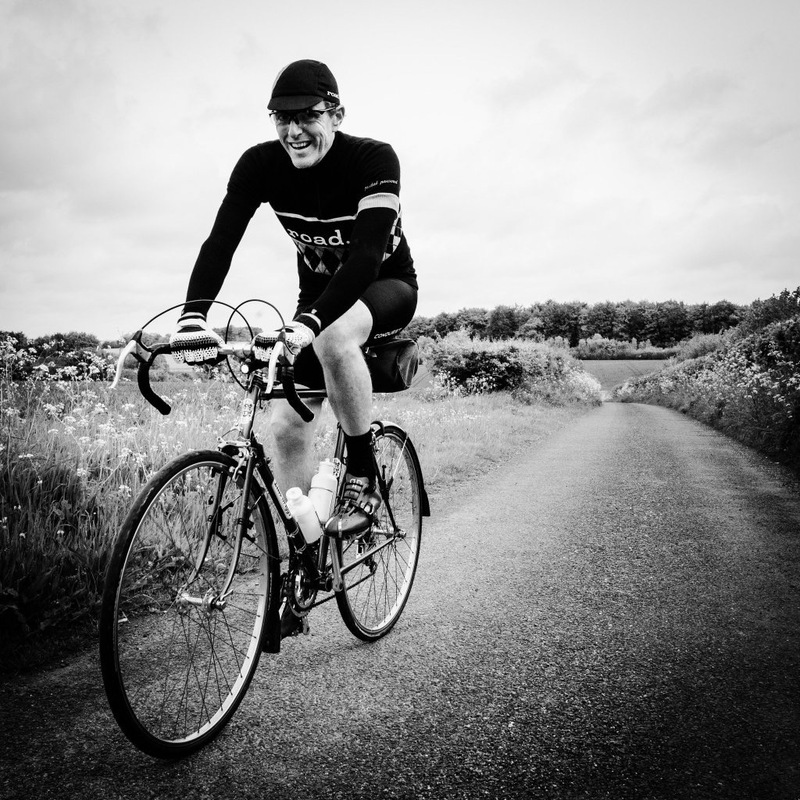 You don't apply equal pressure all the way round the pedal stroke, so by moving the arms and reducing their number by one, you get the same stiffness but for a lower weight. That big gap between arms two and three wouldn't really work with a standard single-piece alloy chainring, as the gap is too big and the ring would flex. But the outer chainring on the Ultegra 6800 groupset is two alloy plates sandwiched together, with a hollow centre. As such it's much stiffer, and able to bridge the gap effectively. The other thing that's changed significantly is that the same spider can cope with all the combinations of chainrings that Shimano offer: that's Rider Tuned, naming-things fans. There's a 50/34 compact, a 53/39 standard and a 52/36 that we don't really have a name for. Semi-compact? Faux-pro? Anyway, there's that. And a 46/36 cyclocross one as well. All use the same bolt spacing, so switching from Standard to Compact is just a case of swapping the rings and nudging your mech. I've swapped between a compact and standard set of rings with no issues and minimal faff. In use the chainset is very stiff, and the shifting at the front is excellent. You can choose 170mm, 172.5mm or 175mm cranks. 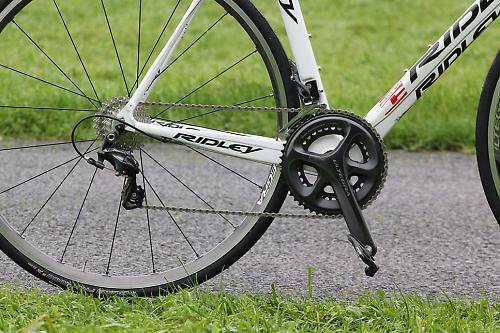 A chainset is the kind of component you only really notice when it's doing something bad. This one was stiff, silent and stealthy throughout testing. Examination of the chainrings after a couple of thousand miles shows minimal wear. I've used it with press-fit bearings and a standard Hollowtech II external bottom bracket with no issues at all. You can have your Ultegra cassette in one of five flavours: 11-23T, 11-25T, 12-25T, 11-28T or 11-32T. It's ever so slightly wider than a 10-speed one which means that you need an 11spd compatible wheelset. Mavic wheels since 2001 should be fine, just lose the spacer. Other wheel manufacturers may be able to supply you with a different freehub for your existing wheels, some (Zipp for example) will want you to send them back for re-dishing, too. You might have to bite the bullet and get some new ones. Is it possible to just bolt the 11-speed cassette on to a 10-speed freehub anyway? Well, as the new cassette is 1.8mm wider the issues are getting the splines on the smallest cog, and the threads of the locknut, to engage. And after that you might have an issue with your chain rubbing on the frame in the 11T as it's closer to the dropout. In short: probably not. There's no official upgrade path for Shimano's own wheels, either. Anyway, assuming you have the right wheels to fit it to, the cassette works splendidly well and you can bask in your extra ratio, which in all cases is an 18T cog between the 17T and 19T. Does it make much difference? Not noticeably in everyday use. If you do a lot of time trialling you might be glad of an extra straight-through jump but for most mortals that extra sprocket isn't that significant a leap. The other changes to the groupset are much more worthy of note. 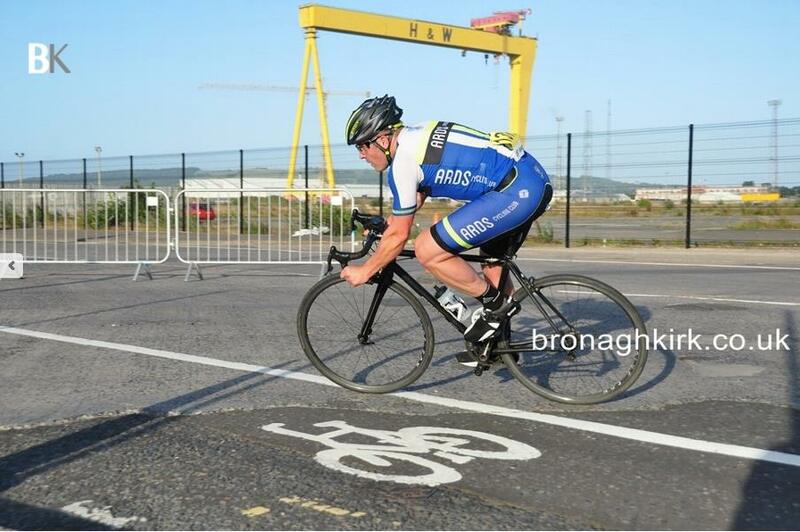 Still though, incremental gains and that. Shimano teased us with directional chains for a couple of years, which I always fitted the wrong way round, and now we're back to symmetrical ones that any ham-fisted home technician can get right. The big news is that the chain has a new surface coating called Sil-Tec that reduces friction between all the moving parts. In the swing-this-one-then-swing-that-one test at the launch the difference is noticeable and impressive. It's unclear how long that treatment is supposed to last, although I'll wager that 2,000 miles in and several scrubbings later, it's a memory. The chain wear is good though, with the Park CC3.2 suggesting there's loads of life left in it even after a harsh winter. The chain joins with an extended pin that you snap off, like all Shimano chains do; I've replaced that with a SRAM 11spd connector as I find that a much simpler way to join and re-join a chain. It's probably not allowed, but it hasn't impacted on performance. As a whole package, and assuming that you're not going to be fuming over your wheels not working with it, Shimano Ultegra 6800 is everything you want from a mechanical performance groupset. It's light, the shifts are crisp and quick, the braking is truly excellent. At the RRP of just under a grand it represents a significant but worthwhile investment if you're upgrading; the fact that you can have it for not much over half that online makes it the go-to groupset for anyone building up a nice bike at home. For everyone except the true racers, the difference between Ultegra and Dura-Ace at the moment is so small – both in terms of weight and performance – that you're effectively giving away nothing by speccing the second-tier kit and saving yourself a bunch of money. Do that. 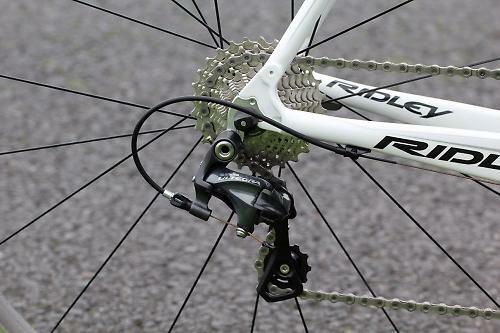 Top-end performance from Shimano's second-tier groupset: great shifting, fantastic braking. The new 6800 series incorporates race proven Dura-Ace technologies to improve comfort and control, like an 11-speed rider tuned drivetrain, improved shifting performance and more braking power. Both groupsets share their true spirit of the sport. Where Dura-Ace focuses fully on professional race level, Ultegra brings race proven technology to cycling enthusiasts. The dual control shifters give tactile feedback to the rider that the gear shift has been completed. With a shorter lever stroke and defined click engagement the shift is completed. The hoods are more compact, and the carbon lever has been redesigned to improve ergonomics and control. Both derailleurs have also been completely redesigned. They are more compact, lighter, feature a shorter stroke at the lever and deliver more even shifting effort throughout the full range of the cassette. The new drivetrain makes shifting and braking as easy as possible so a rider can concentrate on the ride, especially in tough conditions. The new Ultegra 6800 series has 10% more braking power that its predecessor. The extra brake power results in enhanced control, especially from the hood position. This, in large, is as a result of the new symmetrical dual pivot design and the new brake shoe compound. Besides increased braking power, modulation is improved by using new polymer-coated BC-R680 cables. The Ultegra brakes are also available in a direct mount version for aerodynamics (BR-R6800). Ultegra 6800 has a rider tuned drivetrain. 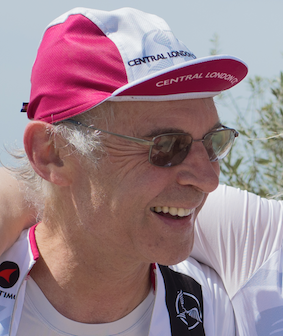 Rider tuned means that riders can individually choose a large variety of gearing options for all kinds of riding, whether you ride races, Gran Fondo's, sportives or cyclocross. The Ultegra cassette is going 11-speed. From 11-23T all the way to 11-32T. 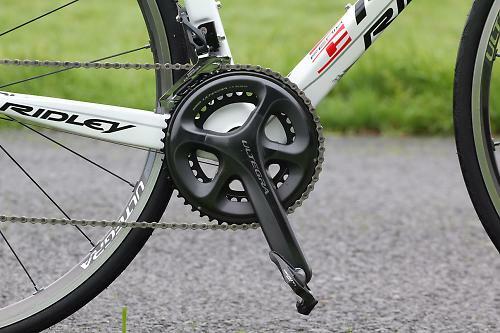 The Ultegra 6800 crank shares the same 4 arm design as its Dura-Ace counterpart. The 4 arms provide a better power transfer compared to a five arm design, and reduce overall weight. The crank is available in 53x39T, 52x36T, 50x34T and 46x36T. The chain (CN-6800) with a new surface technology called Sil-tec. an advanced surface plating technology to increase performance. Recently debuted in the Dura-Ace 9000 chain, Sil-Tec technology adds a low friction surface treatment that runs smoother and lasts longer. With Ultegra going 11-speed Shimano has developed an 11-speed wheel on Ultegra level, the WH-6800. This lightweight wheel has a wide flange hub and an offset rim for high rigidity and power transmission. It has a digital adjustment system and less quick release axial force for easy maintenance and cup & cone bearings for durability. Compatible in tubular, tube and tubeless. As with all Shimano wheels, the WH-6800 is 100% in-house produced and hand-assembled. Solidly made but still light, the groupset has stood up to the rigours of testing very well, even when we gave it to Liam to crash in Spain. Really top-drawer performance. Noticeably better than 6700 which was already very good, functionally indistinguishable from Dura-Ace the majority of the time. Finish is tougher than some Shimano finishes have been in the past, mechs and levers have stood up well to poor conditions. Lighter than the previous Ultegra groupset, 6800 is only giving away 250g or so to the very lightest standard transmission, SRAM Red22. Redesigned levers are noticeably better than the last version. Good value even at list price, You can have it online for a steal. Smooth, crisp, light shifting, fantastic brakes. Fuming over my wheels not working with it! Nice - let's hope some of this filters down to the more-affordable ten-speed groups. I'm still not seeing 11-speeds as something I want or need. The 11/32 rear cog must have some limitations on the front rings you can use? And are there different cage lengths on the RD? +1 on using SRAM connectors - anyone need a handful of Shimano pins? I think Shimano advice not to use the extreme gears where SRAM say they have a true 22 gear system. Can anyone confirm and elaborate? Not sure what Shimano advice is but have this group set on my new De Rosa and it certainly doesn't like the 'ugly' ears too much so I stick clear of them, but it's otherwise excellent. I think Campag boast a 22 gear system as well. Just had this group set fitted, I agree with the review it feels great, much better than myold group set. The brakes are noticeably better, and the hoods are more confortable. With usage i love my 39 chainring for headwinds and stuff (39-11, 39-12 39-13 are still a perfect gears until you get a little tailwind or are riding in a group) and i only need the really small chainring when i am riding climbs steeper then 20%. In that respect i would love the option to easily swap out the front chainrings depending on the terrain. the 52-36 sounds great for the mountains (and who, unless being a pro would use 53-11 anyway) and even the 50-34 option seems interesting. Does this mean my 9-speed Tiagra groupset is under spec and out of date? But how can 18 dollars for a rear sprocket be wrong? The irony of being a long distance rider - replacement costs begin to matter. That's my understanding. As for the test groupest, it was happy enough in the big/big combination, not quite as keen in small/small, but either was okay. whether or not the groupset manufacturer says those gears are good to use, the chain angle is always going to result in more wear than the nearest equivalent ratio on the other chainring, so still best to train yourself to avoid them if you can. My Ultegra 6700 is quite happy in 34-11, and almost as happy in 50-28. I have heard of people finding the whole SRAM True 22 thing rather a faff to get right. Had to re-hub my American Classics about £40, otherwise really happy with it, the lower effort shifting is a real boon especially on really cold days. Not mentioned in the review that I could see, it has trim function to allow big-big/small-small but with the soft lever action and the reduced lever throw you need a delicate touch to use it or you'll hop down to the smaller ring unintentionally. Anyone with Mavic wheels that use a cassette spacer for their 10-speed cassette can use the wheels unmodified for 11-speed groupsets. I have 6800 with 50-34 and 11-32 on my new Planet X RT-57 (on Fulcrum Racing Zeros), and if works very well indeed - a great advance on 6600 that I have on my other bikes. looks like Shimano are getting their styling act together again. This looks nice, chunky and functional after some of the - IMHO - overly sculpted and organic shapes from the previous generation. Even the chainnset looks nice but as before buying into the replacement costs for the matching big rings is a bit of a pain. a Question: are the pull ratios on the back the same for 10 and 11? I.e. can you use the 11spd mech in a 10spd setup? Might I ask re these snap-off pins: what does one do on the roadside? Carry pins and some sort of tool in addition to the normal chain tool to snap them off? Wow, Road.cc, did you just give a positive review for a groupset that isn't electronic, hydraulic OR disc? Are you feeling ok? List might be £925 but it's available not much over £500 (e.g. Merlin cycles at £539). I believe Shimano's official name for the 52-36 chainset option is "Gran Fondo"
With the 11-spd set up, running 11-28 at the back and 52-36 you can get almost as low as the old 34 to 27 compact gearing, but I feel the range is more useable. Since switching I hop between the big & small rings up front far less. As an unashamed weight weenie, what is the overall weight of 6800? Shimano can't seem to compete with Sram/Campagnolo in the weight stakes, with the previous Ultegra incarnation heavier than Apex/Centaur, the third tier groups. Low weight : Low price : Performance - Choose the 2 most important to you, and that's how you decide between Shimano, SRAM and Campagnolo. Given that Chorus is weighed by fairwheel (it's the most complete list i know of) at 2352g, I'm going to take a punt that Athena isn't 200g lighter than Ultegra. But Shimano don't do a quick-link, correct? In which case, what might the 'Shimano officially sanctioned' roadside repair be? ...and does it involve carrying a set of pliers? The 11/32 rear cog must have some limitations on the front rings you can use? Nah, so long as you have enough slack in the chain to wrap the cross-chain at 53/32 you will be fine. I'm running 53/28 just now, I can't imagine 32 tooth being a problem. That said, if you find yourself needing to combine a 'Race' 53/39 set of front rings with a 11-32 tooth cassette, you're probably not really fit enough to turn a 53/11 in anger anyway! I don't see why Athena can't be lighter with a very few grams. after all, the ergos are light, the chainset is very well made, and the derailleurs are not much heavier than ultegra, IMHO. 2168g at totalcycling - ok, I exaggerated slightly but 150g lighter sounds a bit less purposely controversial. I always thought a 52/36 was called a Pro Compact? Oh well. Surely 52/36 is exactly the same ratio as 50/34? I run 50/36 preciselly for the reason it avoids the horrible 14t gap between rings, but then i mostly cycle Hertshire so its hardly hilly. Im still mystified as to why all these 11t cassette options. I'd much rather have 12-25 or 12-28 than 11-25/28/32. If im going fast enough to need the 11t either a) i should switch to the big ring or b) am on decsent that will be over in 1 minute anyway.